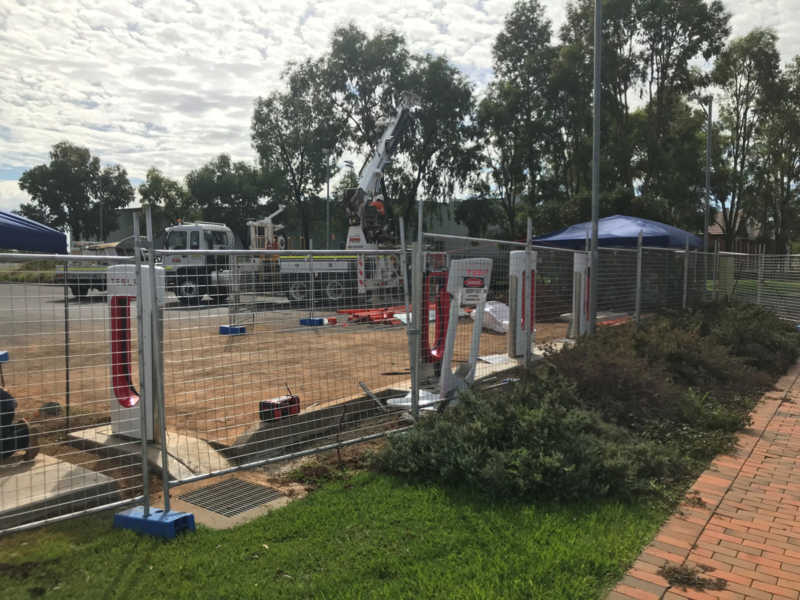 4 superchargers, 76 Wingewarra St, Dubbo. DA18-215 approved by council on 13 June 2018. Yes, June. I can't believe it sat undetected for so long! Wow, it's amazing to think I've phoned the groundskeeper of the showgrounds and used a 3 phase adapter before, and now I'll just be able to sidle up to a glorious supercharger! I actually looked but my street view showed a different image?! Well under construction at the moment! It's a bit of a drive for me! The pic was shared in a private group. Also, are Superchargers in Australia Type 2 or American standard? Are they v2 or v3 superchargers? They look like standard cable thickness though hard to tell at this distance. **** me, they look EXACTLY like recycling bins! Registrations for the Bathurst/Dubbo opening event are open! I just noticed some Type 2 chargers have popped up on Plugshare at the Dubbo Best Western, right next to the hotel’s existing Tesla destination chargers. No info, checkins or photos however. I thought this may be useful in case anyone is staying there, but perhaps if someone is making a booking they could ask about the new stations? Honestly, I could vomit listening to that. I truly don't understand the human need to resist improvement. A photo of the Dubbo “grand” opening on PlugShare. Supposedly there is also an NRMA Fast charger nearing completion on the same site. There is a photo, but not visible due to a PlugShare bug.